If I haven't mentioned it before, I'm mentioning it now. This is hands down, my favourite foundation of all time. 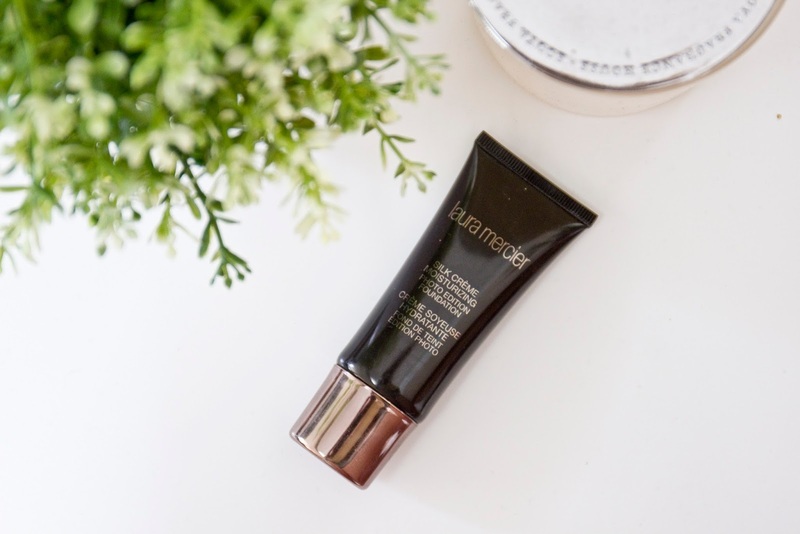 I definitely have gone through my phases of 'loved' foundations (Too Faced's 'Born This Way' is a recent new love of mine FYI) but never has a foundation matched the greatness that is Laura Mercier's Silk Creme Foundation. Nothing has even come close, and this has been one of the only foundations I have actually ever re-purchased (in fact, I think the only other foundation I have re-purchased is the Loreal True Match, yikes). When I find something I love, I love it. I was a little sad when I heard it was being re-formulated - there's always that fear that the new formula won't be as amazing as the original, but I was pleasantly surprised with this one. The formula is slightly thinner - the old formula was like a thick paste almost, but somehow smoothed onto the skin like velvet, not heavy or cake-y at all. When I first felt the new consistency, I was worried the coverage would be lost but it remains just as lovely and smooth as ever, full coverage but with a slightly more satin finish than the old formula. I quite like this, as most days I will definitely go for a dewy finish over a matte finish and this new hydrating formula gives me just that. I can't put my finger on exactly what it is about this foundation that I love so much, it just somehow checks all the boxes. It's full coverage, but it never feels heavy or looks cake-y. It covers everything, and you only need a small amount of product. It leaves a beautiful finish that can virtually be transformed into a dewy finish, or a matte if you would prefer. The only thing I have left to test is the longevity of the new formula. The old formula would stay on my face morning till night, and I used to have normal (sometimes on the oily side) skin. This new hydrating formula has been a godsend in the winter months when my skin has been abnormally dry, but it will be interesting to test it in the coming warmer months. I'm not sure if I will ever find a foundation I will love more - big call? Maybe. Have you guys tried it? If so, what are your thoughts? Have you tried a foundation that you think is - dare I say it - better? Let me know your thoughts!